You are here: Home / Product Reviews / Babies & Kids / LittleEcoFootprint March Box: Unboxing the @LittleEcoFoot March Box and Revealing Tons of Goodies for Little Ones! LittleEcoFootprint March Box: Unboxing the @LittleEcoFoot March Box and Revealing Tons of Goodies for Little Ones! Happy Easter from LittleEcoFootprint with another home run! This box had great products from Boské Kids, Buncha Farmers, Carré Jaune, Crayon Rocks, ecojot, First Foods Organics and John Masters Organics. Michaela was super stoked with the box this month as there was tons for her to enjoy. 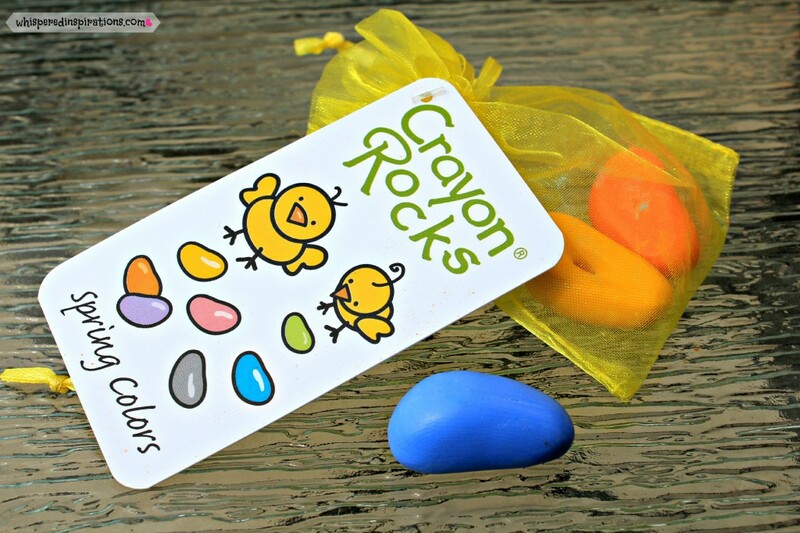 Crayon Rocks are all natural soy wax crayons made from USA grown soybeans, coloured with mineral pigments and manufactured in rural Kentucky. They’re made for little fingers to grasp using the tripod grip muscles and come in an array of different colors that make for vibrant and gorgeous pictures. Mimi loved them and not only did she get a piece of paper right away to color, she also keeps the little bag and uses them as toys. So, the Crayon Rocks are 2-in-1 for Mimi! These are a sample of their Spring colors and I found that Mimi knew how to use the crayons immediately, they were ergonomic and fun! You can get more information on Crayon Rocks and purchase some of your own starting from $7.25 and up to $28.00 for sets. 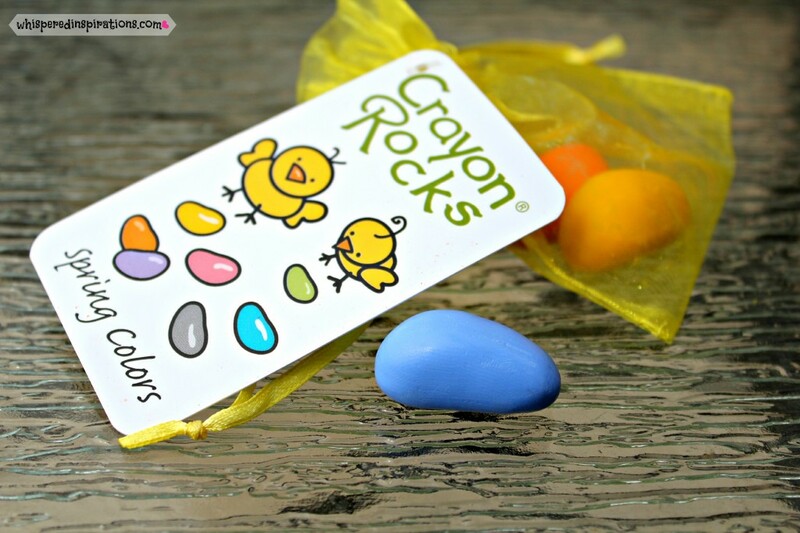 Visit Crayon Rocks, here. Carré jaune is a refreshing collection of skincare products designed especially for children. 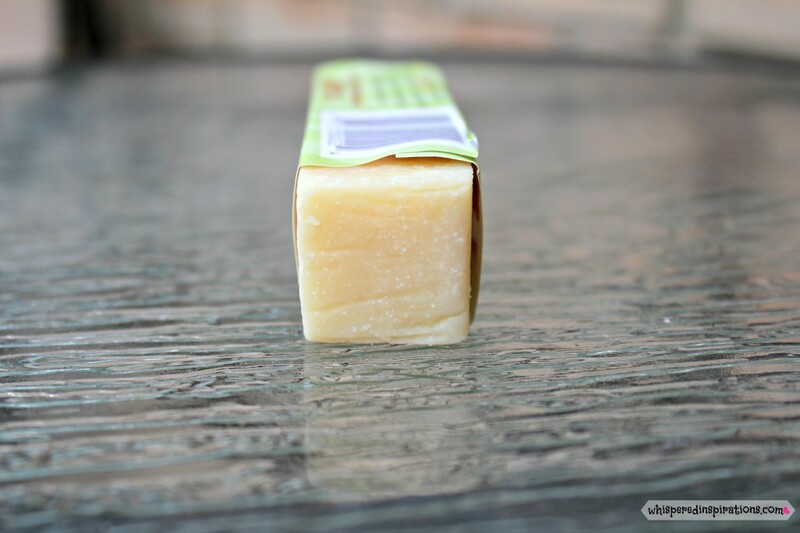 It is 100% Natural, has no parabens, no SLS, no petrochemicals and just how it says–NO FUNKY STUFF. I found the foam wash perfect for wiping Mimi’s face when it was sticky and it worked really well. 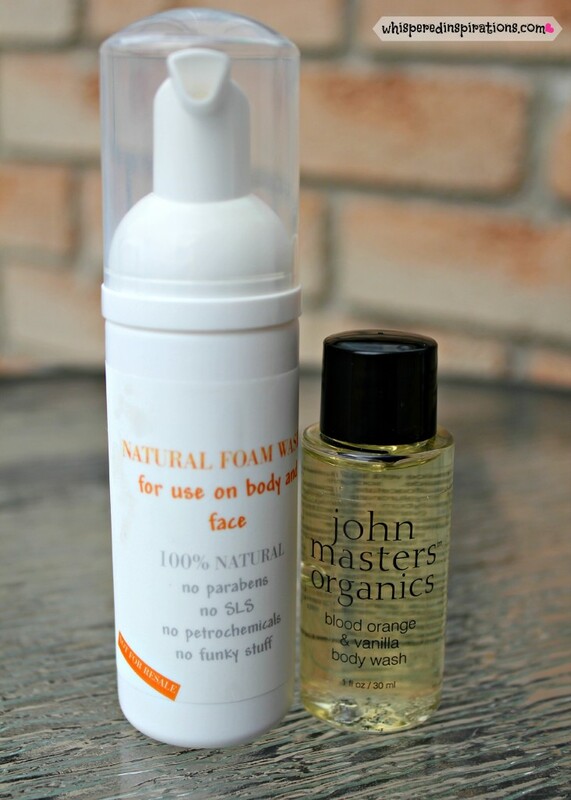 John Masters Organics is a blood orange and vanilla body wash, it was a small sample but, it smells absolutely divine. Not like most body washes I have used that are organic that have a more natural smell, this smells delicious! Created with the mildest botanically-based surfactants, the Blood Orange & Vanilla Body Wash foams into a creamy, rich, sulfate-free lather that gently removes dirt and oil – leaving skin soft and smooth. 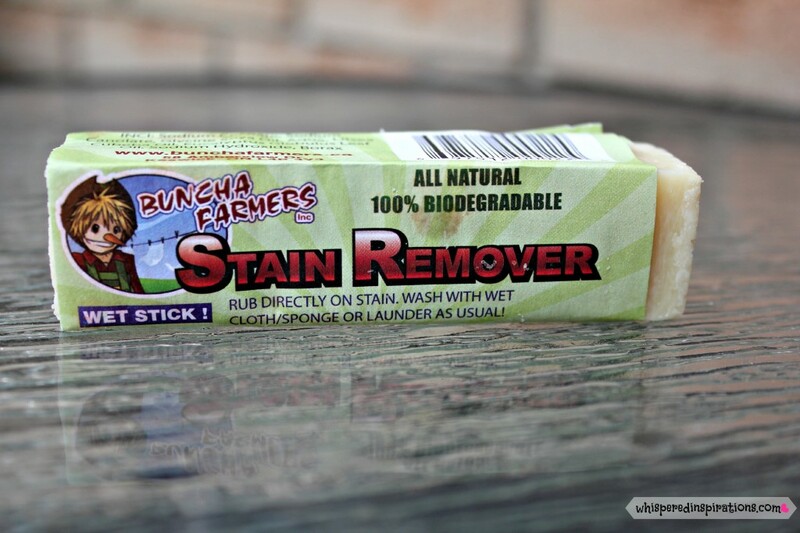 Buncha Farmers Stain Remover is pretty cool, it’s a wet stick that you can use to get out pesky stains before you launder them. I actually used it on one of Michaela’s shirts that she stained with sauce. I rubbed it right onto the shirt, used a wet cloth and then put it in the laundry. A stain remover that is safe, and really works. It works well for a pre-treater and you can’t help be happy that it is made with all-natural, biodegradable ingredients, and enhanced with borax to soften the water and aid in the cleaning process. It also smells great, I can smell lemongrass and it’s a refreshing smell for sure! Or in our case, toddler. Well, ecojot’s Giraffe Growth Chart is absolutely adorable! 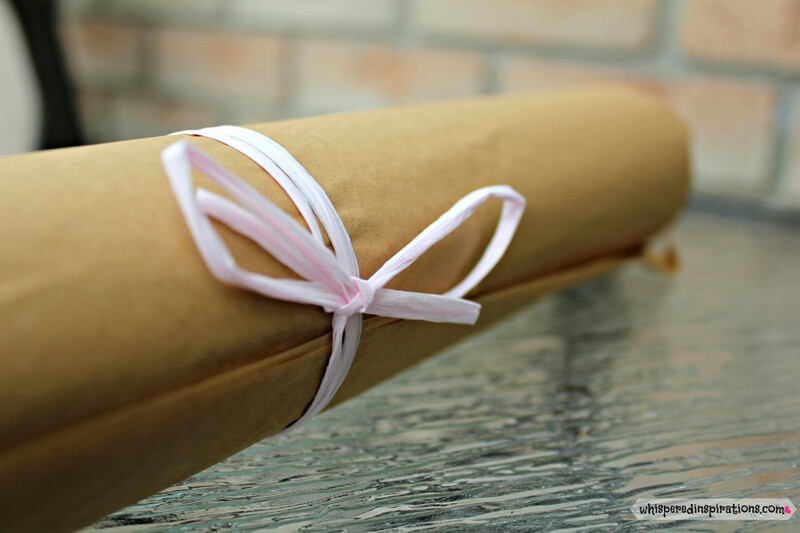 Our growth chart came wrapped beautifully and if you want quality paper products for both kids, babies and yourself. Look no further! So, ecojot creates inspirational and whimsical journals, sketchbooks, cards, gift wrap and more! All made in Canada from 100% post consumer recycled waste. 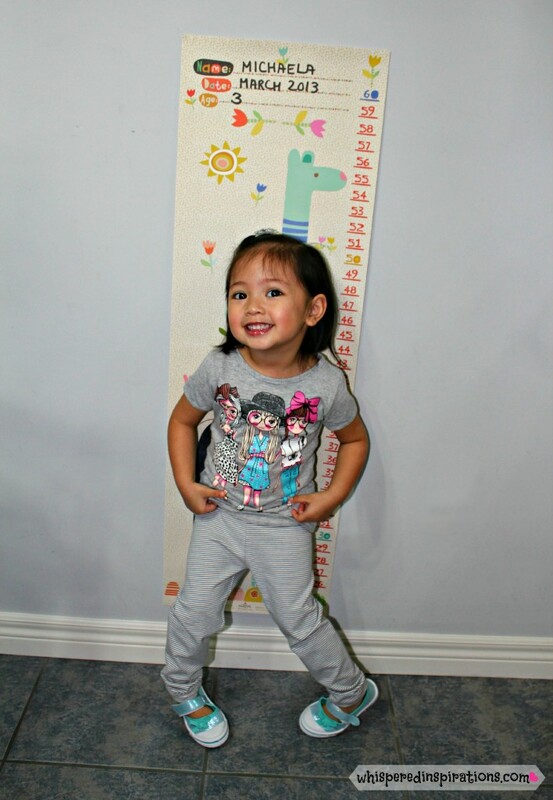 For demonstrating purposes, you can see Mimi here posing by her brand new Giraffe Growth Chart. You have to set it up properly to accurately measure your child’s growth. To be honest, it was a bit confusing for me to hang up myself. I looked for instructions but, couldn’t find it. But, I believe they are measured in inches and this task was kindly given to my Hubby to affix to the wall when he came home from work. This was Mimi’s absolutely favorite. Because it was delicious of course! First Food Organics sent over two full-sized Banana Munch Mix and a sample of Yogurt Yums that she may or may not have eaten all of. 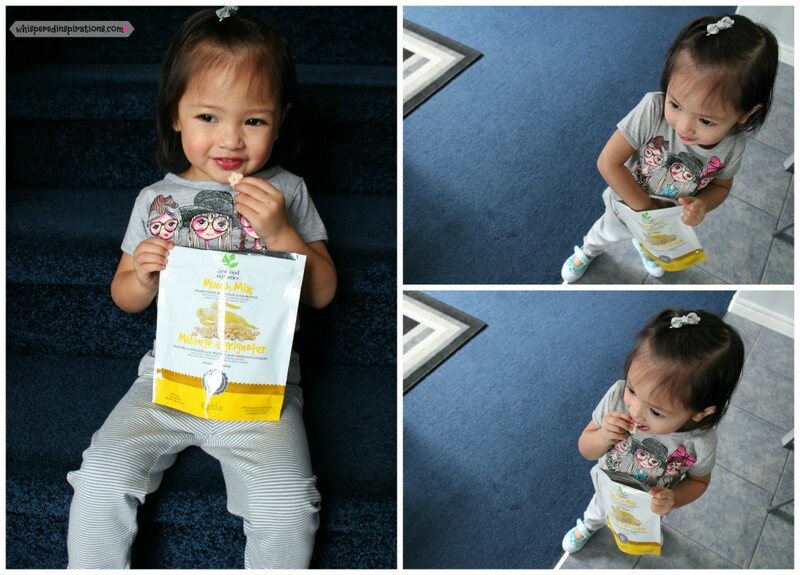 She loved how the yogurt melted in her mouth and I loved that these snacks were healthy and organic! Also, very happy that they are now available at retailers across Canada! But, unfortunately, they aren’t available in my area but, available online! Mimi will be very happy to hear that because she fell in love. Shopping That is Fair Trade and More! 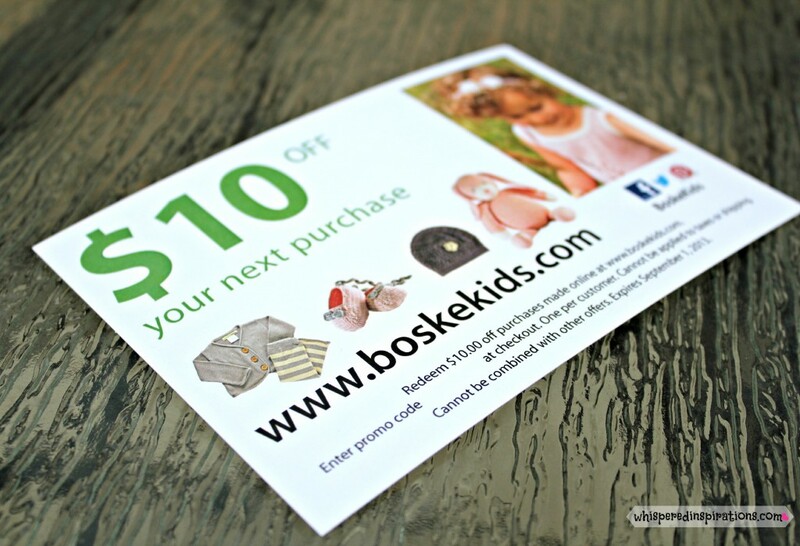 Boské Kids is a Canadian clothing company for children ages newborn to 6 years. Their clothing and accessories are made from high-quality, all-natural fibers from Peru and low-impact eco-friendly dyes. As an environmentally conscious company, they are committed to making a low impact on the environment. Designed in Canada – Made in Peru, Fair Trade. In March’s box, we members received a $10 off our next purchase, they have such adorable things in gorgeous, simple colors. I think Mimi needs a new dress! Well, March’s box was fabulous and it’s always great and exciting to see what great companies and products that LittleEcoFootprint is going to surprise us with! As always, you can join LittleEcoFootprint as a member for $29/month and get your own box delivered to you. Sign up, here. Make sure to add LittleEcoFootprint on Facebook and watch out for Members Only giveaways and follow @LittleEcoFoot on Twitter for updates! Which March LittleEcoFootprint product would you most like for your little one? Sorry if this is a duplicate comment, I don't think my first attempt went through. I love that stain remover! Great post. 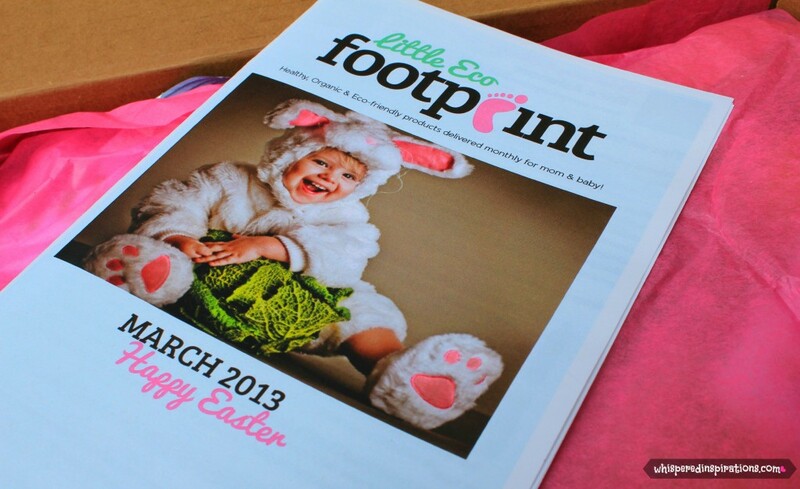 I love Little Eco FootPrints and I can't wait for April's box! My recent post StrollAir celebrates their 10 Year Anniversary: Enter to win 1 of 10 StrollerDuo's! Thanks for the introduction this sounds like a great box !